The Grand Arcanum Trap is an Arcane type weapon. The pulsing red crystal at the dark heart of this trap glows with an eerie light, attracting mystic mice like moths to a flame. Any mouse attuned or interested to arcane energies and secrets will find this trap positively irresistible and will persue it to their doom! The Grand Arcanum Trap is not sold by any Trapsmith. It can only be crafted given the proper ingredients. Arcane Capturing Rod Of Never Yielding Mystery – Source of A.C.R.O.N.Y.M. Parts needed to craft the Grand Arcanum Trap. 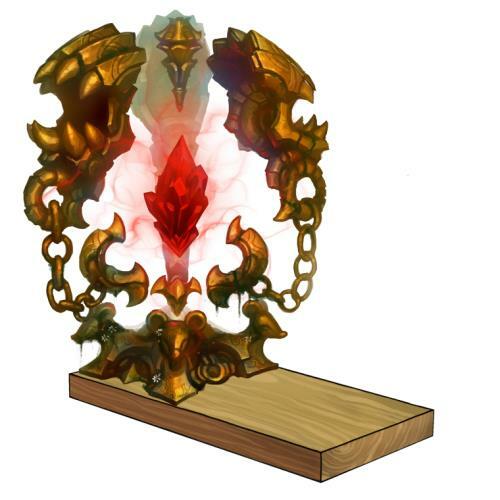 14 November 2012: The Grand Arcanum Trap was introduced as part of the Living Garden update. This page was last edited on 27 January 2019, at 01:13.